It started out like any other night- my 4 year old and I were about halfway though our nighttime routine and were in the bathroom brushing our teeth. He's not quite tall enough to reach the sink, so he needed to go on his step stool in order to spit out his toothpaste. As I wiped off his mouth, something on the counter caught his eye. "It's just some baking soda"
His eyes lit up. "Oooh. Can I try some?" Perplexed, I simply explained to him that baking soda is really gross and he really wouldn't want to taste it. I tried to divert his attention by trying to get him to tell me what book we were going to read, but he was undeterred. He quickly reached in the box of baking soda, grabbed a pinch and put it into his mouth before I was able to stop him. There was no need to wash his mouth out because his face immediately began to grimace and he started spitting and wiped his tongue off with the sleeve of his shirt. "See? I told you it was gross", I affirmed as I got him a glass of water. "But Daddy", he says with a sad and confused look. "You said that it was "Bacon-Soda", so I thought it would taste good." In the great classical novel “Dante’s Inferno”, hell is portrayed as nine distinct rings of immense suffering with each subsequent ring possessing an increased level of agony for its inhabitants than the one before it. It’s an excellent piece of literature, but I believe there is a tenth ring of hell that Dante Aligieri neglected to add into his book, perhaps a mercy move intended to shield the readers from an unspeakable horror. Of course, what I’m referring to is living with an infant who has acid reflux. Prior to the birth of our 2nd child, my wife and I came into the situation with what we thought were eyes wide open. We’ve been through this rodeo before and while adding another kid to the mix would undoubtedly be challenging (a few sleepless nights here, some stressful days there, etc. ), we figured that we’d be ready for whatever that might come. However, what I didn’t expect was for him to have reflux and I certainly wasn’t prepared for the toll that it would take on our entire family. When our baby boy finally did arrive, the first week of life was wonderful. He was a happy little squishy thing and the whole family was beginning to settle in nicely with our new addition. I had taken off work to help out the first week the baby was home, and we laughed because it felt like a mini vacation. He was perfect. However, sometime during the second week we noticed that things slowly began to change. Not only did he start waking up at night more frequently, the length of time he was crying for stretched for longer and longer periods. Moreover, the pitch of his cry was ear-piercingly loud, to the point that our neighbors could hear him. At first, we assumed that there was nothing seriously wrong and he was just doing what a baby does while experiencing a bad case of colic, but deep down, I think we both knew that something wasn’t quite right. 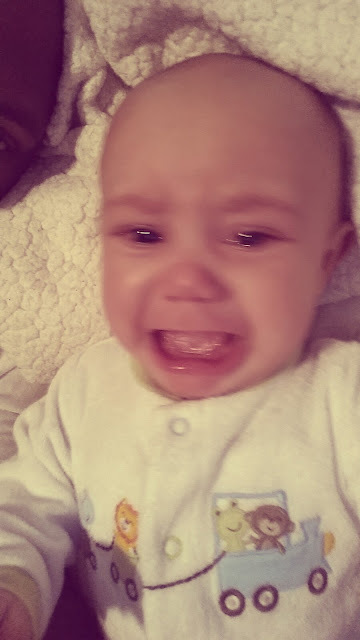 To our (and our neighbors’) dismay, the baby continued to cry for hours on end. Eventually, this issue started to cause our family to unravel at the seams. My wife, being a SAHM bore the brunt of the consoling efforts and would constantly have to carry him in order for him to stay calm. This aggravated an old back injury and she has been working with a physical therapist in order to help relieve the pain. Our older son, who is also home with his mom, started to noticeably misbehave more than usual. The lack of sleep, coupled by stress, put a bit of a strain on our marriage. 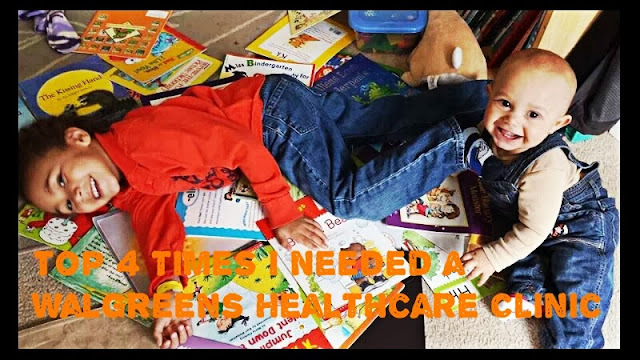 There would be days that I would come home from work and my wife would be in near tears from the utter exhaustion and frustration that came from taking care of a baby that cried all day and an unsettled four year old. I think the hardest part for all of us was the utter powerlessness we felt, since our biggest responsibility as parents is to protect our children from harm, but it seemed as though we were utterly failing at our duty. We knew that this couldn’t go on much longer. 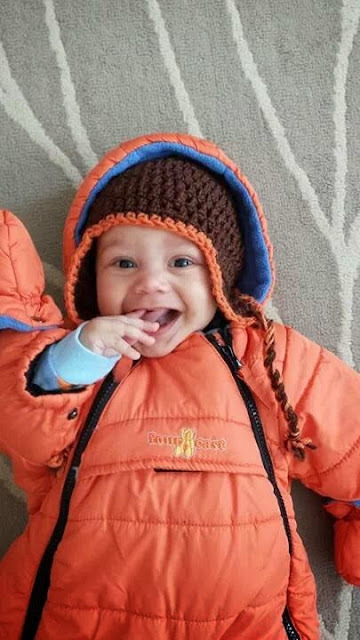 We turned to our pediatrician and the baby was ultimately diagnosed with gastro-esophageal reflux disease (GERD) and put on medication to help ease his symptoms. With each elimination, we began to see a slight change in our son’s demeanor. Slowly but surely we were again beginning to see the amount of time he cried each night get less and less. We realized that the reflux was in part due to an adverse reaction to those foods. With the suggestion of our pediatrician, we also introduced our son to an Infant Probiotic. We were starting to see a small light at the end of what had felt at the time to be a never ending tunnel. In addition to the food sensitivities, a friend suggested a chiropractor that specialized in pediatric care. Call me crazy, but I had personally never heard of an infant getting or needing a chiropractic adjustment. However, we did our research and felt that it was worth giving it a try for the sake of our son. To my surprise, the adjustments were gentle and the baby actually seemed to enjoy them. After just few visits we again began to see a positive change with even less crying and better sleeping. 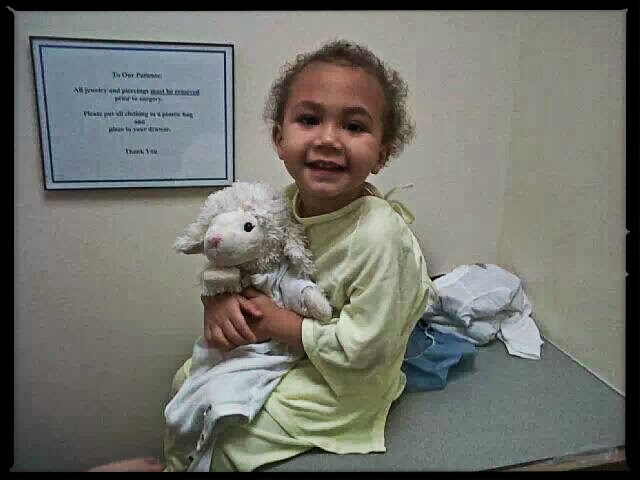 It was beginning to feel like we were slowing regaining our happy, smiling baby back and along with that, our sanity. There were truly times when it felt like it was never going to end, but giving up was never an option. In our difficult moments, my wife and I found strength in each other in order to fight what was an ongoing battle every day that no one could have prepared us for. Our son is now 8 months old, and while my wife is still continuing to eat a gluten, dairy, and egg free diet, he is slowly starting to show improvements every day and we were able to completely take him off his daily medication for reflux. We have been so thankful for all the advice and support that we were able to receive from family, friends and online communities as well. One time that I needed a Walgreens Healthcare Clinic was when I made the mistake of buying a new shirt from the clothing store. Usually, this wouldn’t seem like a thing that would be bad for one’s health, except for the fact that I didn't wash it and immediately wore it the next day to work. By the time I came home, my body, face and limbs were completely covered in hives. You would think that my first instinct would be to medical assistance, but in my stubborn wisdom, I figured I would eventually be okay and whatever issue I had would work itself out on its own. Luckily, my wife did not share my same sentiments and made me see a doctor. I was given a shot and a round of oral steroids that cleared everything up in about a week. Another time when a visit to a Walgreens #HealthcareClinic would have been helpful was during the H1N1 epidemic. I was one of the unlucky people who contracted it and as a result, I was laid up in bed for days. Luckily, my wife received the vaccine before she could catch it from me. Also, since she was breastfeeding our oldest at the time, her antibodies were passed along to him, so he avoided getting sick as well. The walk-in services that are provided by Walgreens Healthcare Clinic would have certainly come in handy during all of my son’s ear infections. They always started the same; he would get a cold that would cause congestion. Then, the ear infection would be diagnosed and antibiotic would be prescribed. There was a time in particular when he got a rash from one of the antibiotics and we rushed him to a clinic, where we were given a different medication. After the cycle for cold/ear infection/antibiotics repeated itself too many times, we were finally referred to an ear, nose and throat specialist who did a small surgery to put tubes in his ears. We were extremely nervous at the time, but in retrospect it was the best thing that we could have done for him since he has not gotten an ear infection since. One day, my son woke up with severe pain in his foot. It was so swollen and tender; he had trouble walking on it. Upon examining it, my wife and I discovered that he was bitten by something, most likely a spider. A Walgreens Healthcare Clinic would have been to perfect place to take him to in order to be seen by a healthcare processional and receive proper treatment. 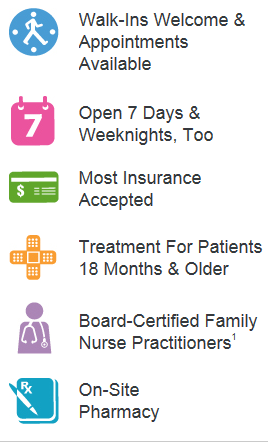 Whether it’s for yourself, or your children, parents can rest assured that Walgreens Walk In Healthcare Clinics are an excellent place to receive high-quality treatment from caring professional staff at a reasonable price. Please feel free to check out their website so your can discover first hand to services they have to offer. Thank you to #CollectiveBias for giving me to opportunity to share my story! It is an inevitable truth that during the years of parenthood, you will encounter a steady over-accumulation of “stuff”. This is usually due to toys or clothing that your kids have outgrown, but eventually there comes a point where you look in your closet and there’s a mountain of crap staring back at you. In those situations, we either donate to a local charity, a fellow parent in need or store it away as hand-me-downs for a younger sibling. They’re all great options, but a fun alternative is repurposing. Through repurposing or up-cycling as the kids say these days, you can reuse an item you already have and are not using for something that can once again become useful for you. But unlike those itchy, sandpaper like napkins at most fast food restaurants, these “recycled” items will be an enjoyable experience. Baby wearing has been an all-around life saver thus far in our family and without our Moby wrap we probability wouldn’t have survived the first 3 months of our son’s life and still have what’s left of our sanity. But now that our baby as gotten bigger, we have stopped using our Moby in exchange for a carrier that we feel is more comfortable for a larger baby. Since we really were not ready to donate this huge menacing piece of fabric, We decided to try our luck at repurposing. 1. Tie one end of Moby (or any type of stretchy wrap for that matter) to crib wrapping around 3 times, knotting each time and pulling tightly to secure end. 2. 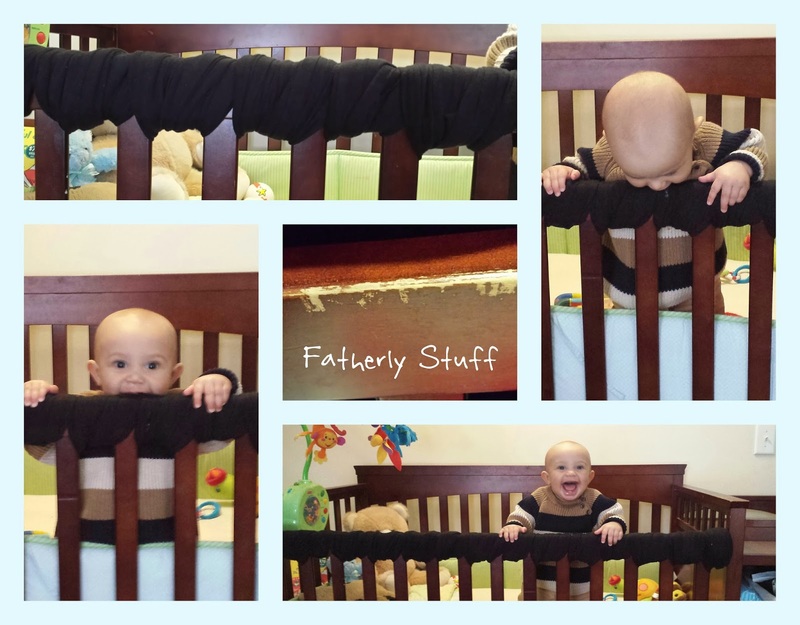 Pull wrap around and between each slat of the crib. Near the ends of the wrap you’ll notice there is less material so you will need to go through each slat twice. However, where it gets thicker in the middle, you will only need to wrap once. *****Important**** Make sure to pull down using your body weight as tightly as possible and up as tightly as possible to reduce the possibility of the wrap coming lose. The material should be tight enough that not even a finger can go between the wrap and the bed rail. 3. Continue pulling the wrap through each slat until you come to the end of the crib railing. You will then need to wrap the tail end of the fabric around the crib railing twice and tie tightly. We used three knots and folded a small tail under to ensure it could not be pulled off. No sewing or cutting necessary! The wrap can easily be untied for washing or for future use of the wrap! Happy baby, one less item for storage and a teething rail that didn’t cost us even an extra dime! Since our first ever repurposing project was such a success, we began to look around the house to see what else we could rescue from the throw away/donation pile. We went googled a few items and discovered that websites such as Pinterest are a great resource for many quick and easy repurposing projects. We got a lot of use from our Pack and Play with our first son, but our youngest would have nothing to do with it, so we gave up on it all together. When we found this idea online we thought it would be a fun way to reinvent it. 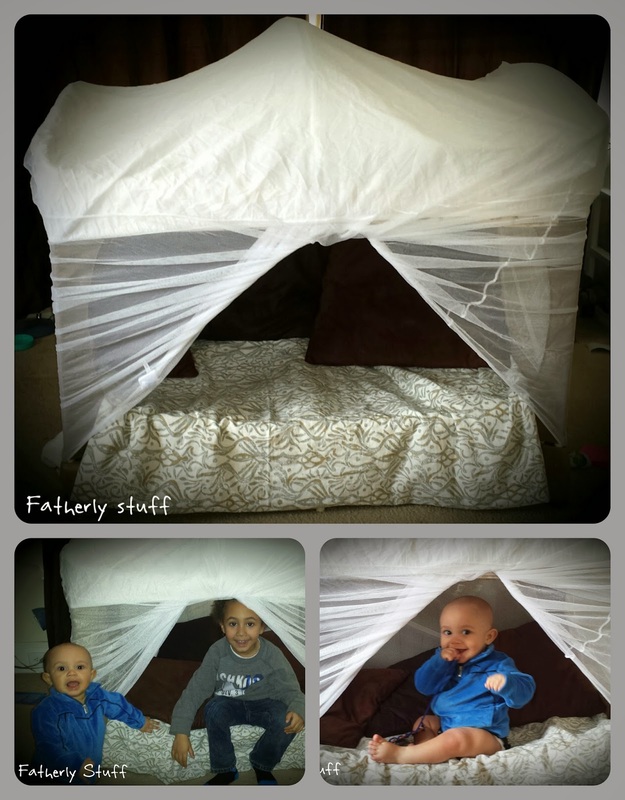 So, we simply cut out one of the screens, threw some pillows on the inside and a fitted crib sheet on the top as a roof. Tucked away in our closet we also found a fun netting that we had purchased to go over the top of the pack and play when the baby was outside and used it to create a fun tent affect. Over all I think it was great way to reinvent our unused pack and play. Both the kids now use the space to store their toys or read books. My Wife, being a kindergarten teacher, is always doing some sort of messy arts and crafts with our oldest son and we routinely will have something for him to wear over his clothes so that he doesn’t get his clothing too messy. We also always have an ever filling bin of clothing to donate due to growth spurts or changing fashion trends. You’re probably wondering how these two things have anything in common, right? 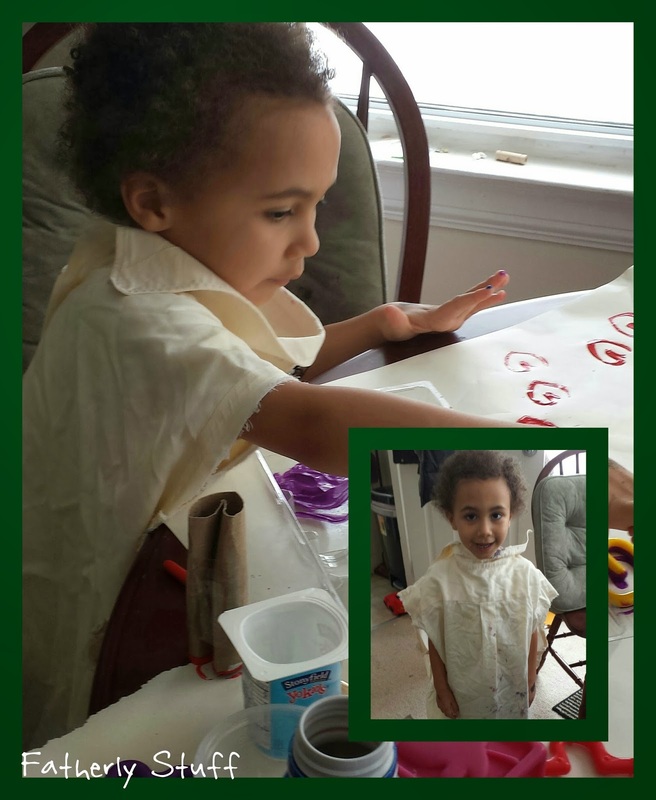 Well we found a great idea involving an old button down dress shirt, and a pair of scissors. We simply cut off the selves, and put a hair elastic around tag to hanging. The collar and size of the shirt provides full coverage for any mess that my son can make and it can easily be thrown into the wash at anytime! So the next time you go through your house to do some spring cleaning, instead of throwing away the items you don't use anymore, try giving it a 2nd life through repurposing. It's a creative and fun way to bring the family together while also saving yourself a few bucks. What have your reused or repurposed at your home? I'd love to see some other examples! When you think of “family fun”, the places and things that pop in your head are probably along the lines of themed restaurants, board games and even PG-13movies. Each of those are great examples, but what if I told you the one of the items what was missing from that list was dental hygiene? You’d probably look at me with one eyebrow raised and wonder why you have such a weird taste in friends. However, after I showed you my brand new Waterpik Aquarius WaterFlosser, you’ll see exactly what I mean. Established in 1962, WaterPik has become a staple in the dental industry by creating products that are both reasonably priced and reliable. They figured out a long time ago that flossing, while a crucial part of preventing cavities, gingivitis and bad breath is an often overlooked process. I can only speak for myself but growing up, I found flossing to be boring and I’d regularly skip it. It eventually caught up to me as an adult and as I type this, I’m cringing at the memory of the fillings I was required to get, Now that I’m a parent, I don’t want my kids to make the same mistake as me, so I’ve been working to make the entire hygiene experience-from brushing and especially flossing- something that they actually look forward to. Enter our WaterPik. As soon as I took it out of the box, my son was awestruck with its sleek design and eye catching attachments. We went through numerous rounds of “Ohh Daddy, what’s this?” as I explained where the water is poured and how with a push of a button, it is pumped through the tube and into your mouth. 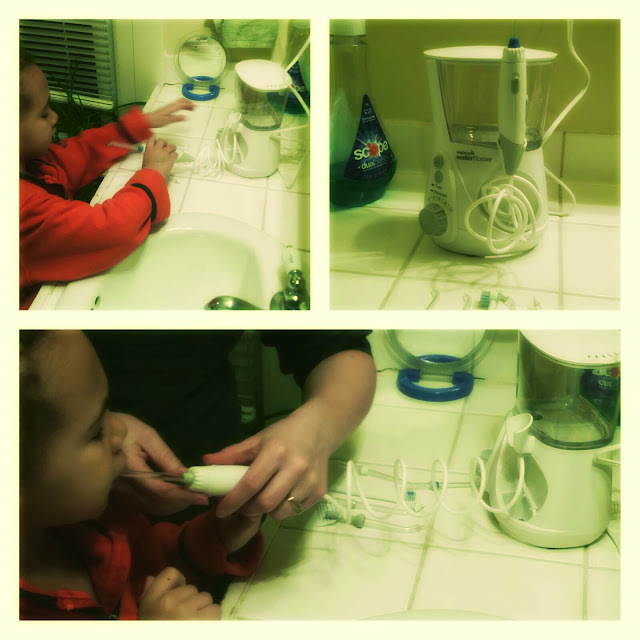 I also showed him the 7 different tips that come with the WaterPik and what they’d be used for. I demonstrated the use for my son and once my teeth were cleaned, I let him have a turn under my and my wife’s close supervision. He had a ball. He pretended that it was his personal robot, whizzing and beeping while spraying his teeth clean. The best part of the entire experience was the fact that while he was having fun, he is reinforcing healthy dental habits that will last him a lifetime. 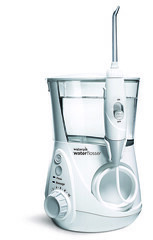 Additional product information can be found here: http://www.waterpik.com/oral-health/products/dental-water-flosser/WP-660/.